This wasn't my first wedding I photographed at Portofino Hotel and Marina. In fact as an Orange County photographer I often find myself working in Los Angeles. 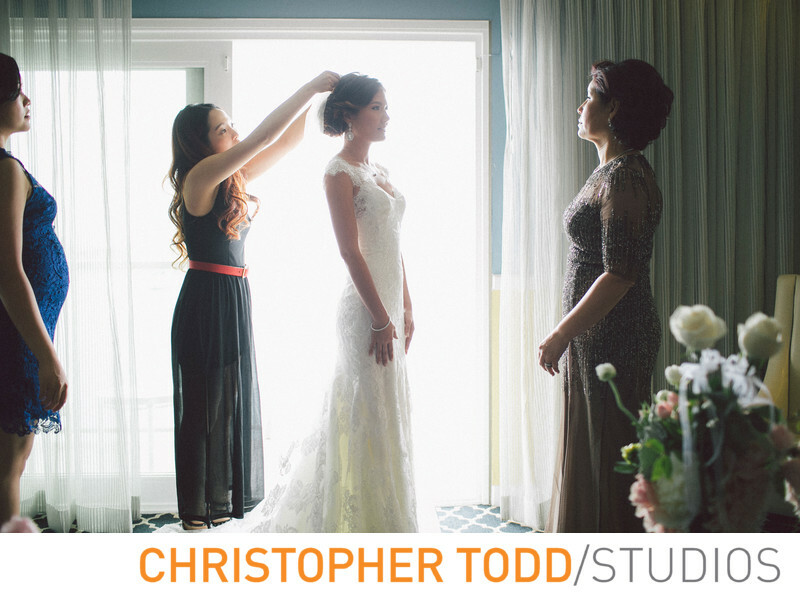 This photo of the bride was taken in her bridal suite at the hotel. It is almost a silhouette of her getting ready with her mom and bridesmaids. I love this shot of the bride before the ceremony. Location: 260 Portofino Way, Redondo Beach, CA 90277 . 1/400; f/2.2; ISO 320; 35.0 mm.